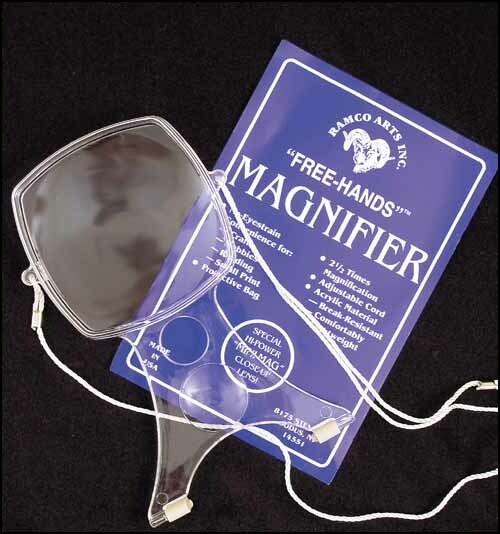 Ramco Arts Free Hand Magnifier™ is the perfect solution to the problem of eye strain. 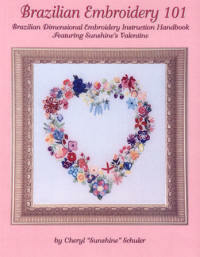 Non-slip feet actually hold the magnifying glass in place for a clear view of handwork. 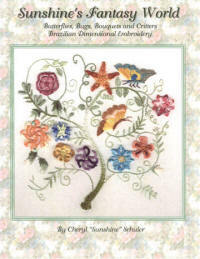 It's a must have if you do Brazilian Embroidery, cross stitching, needlepoint, embroidery, and other intricate arts and crafts projects. Resealable storage bag for added protection against scratches and dirt. Plus a small close-up lens in the base for detail work. Has an adjustable nylon cord to hang magnifier around your neck.